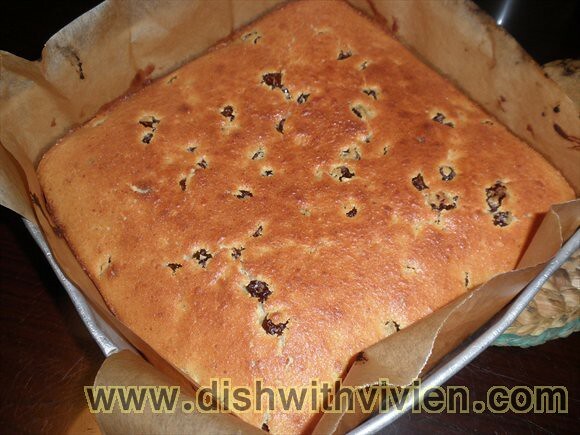 raisin which has been left to soak in rum for few days is left to drain over a bowl, so that the rum could be mixed into the cake batter in earlier stage, and the raisin be mixed in towards the end. 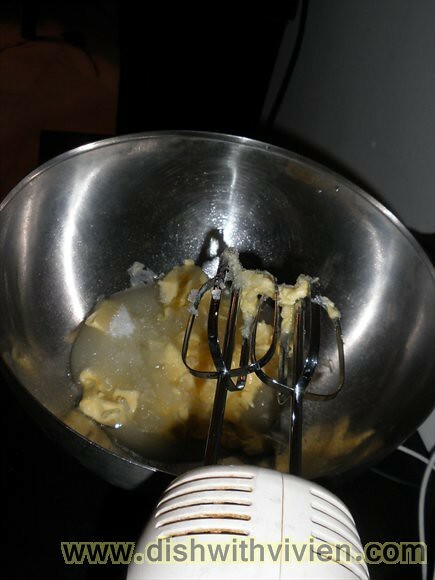 butter, canola oil and sugar. 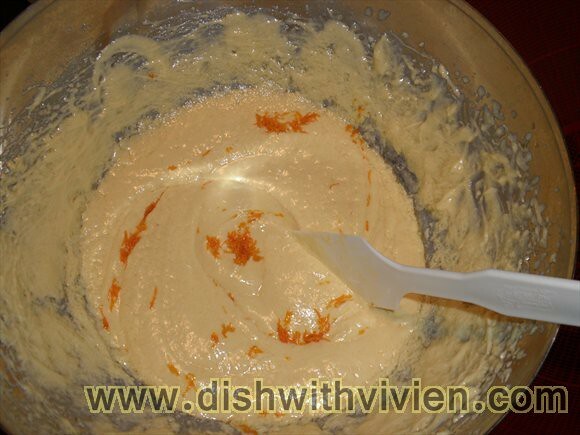 Decreased the butter and add in oil to make a lighter cake. 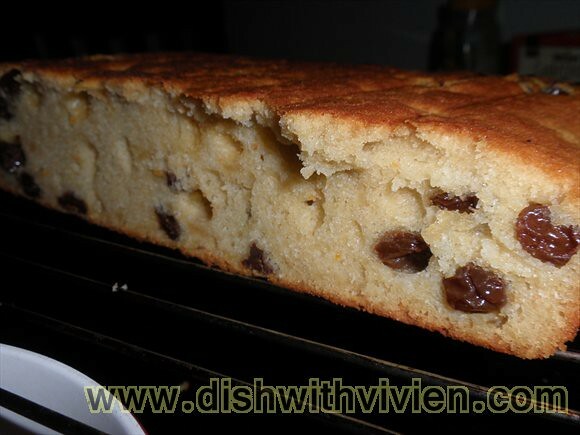 raisins mixed in with some flour so that it doesn’t sink to the bottom of the cake. 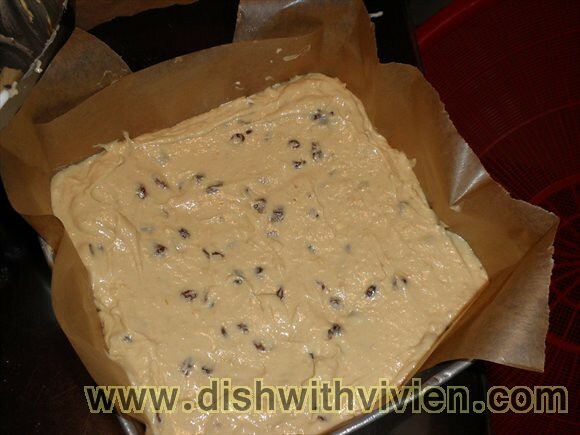 Lastly. 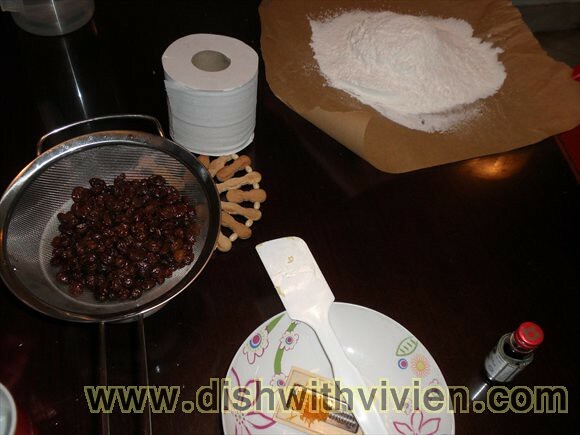 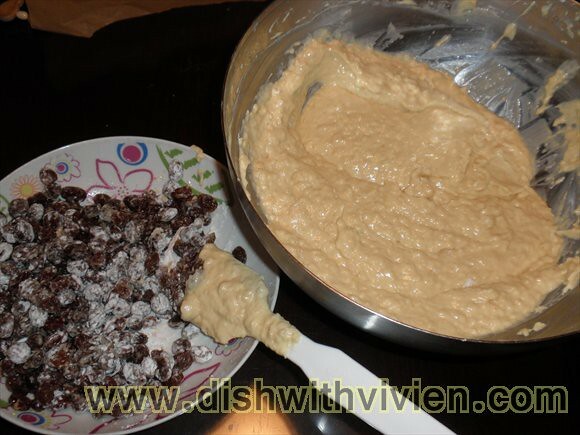 add the raisins into the batter.